This is for the MTN users. 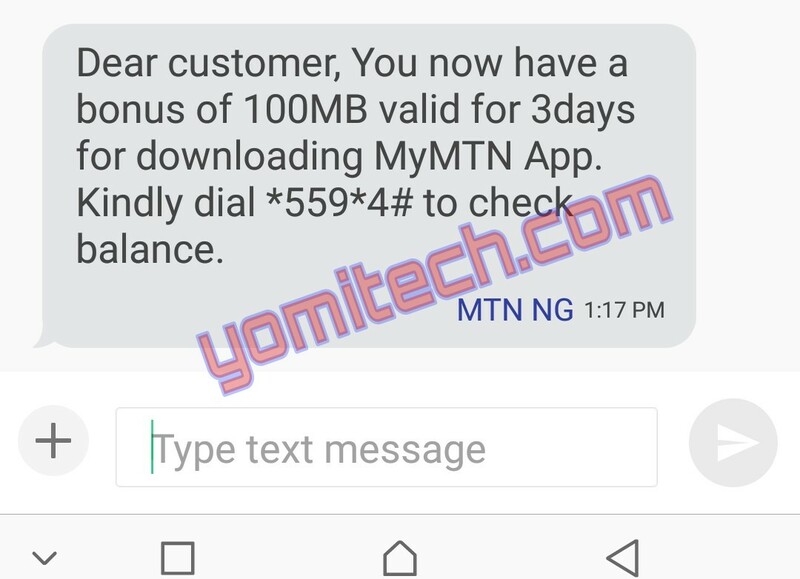 MTN is currently giving out free 150mb data to it's customers. This isn't actually a cheat and the data does not come with any hidden charges. 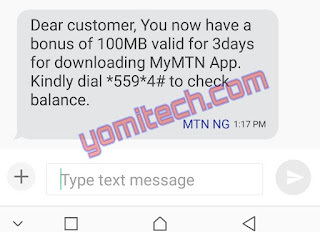 The purpose of the data is actually to download the Mymtn App but you can use the data to browse, stream, download and do anything you like for a validity period of 3days. Getting the data is pretty easy and straightforward, all you need to do is to text Myapp to 131. If your SIM is eligible, you will receive a text message like the one below. "Dear customer, You now have a bonus of 100MB valid for 3days for downloading MyMTN App. Kindly dial *559*4# to check balance." If you get an error message like the one below, you can try again or get another sim. "Y'ello, your subscription to Myapp has failed. Please retry by sending Myapp to 131." As I said, the data is valid for just 3days and it works irrespective of your current tariff plan . Nice one!!! It works for me!!! Thank you so much!!! Wow this is a nice post. I tried it and it worked. Thanks for revealing this for us.